The Museum’s exhibits are thoughtfully designed to be unique, to arouse curiosity, and to engage the minds, muscles and imaginations of our visitors. Open-ended, imaginative play is what we provide for all of our guests. While here you may wonder why there are no signs directing how to interact with the exhibits. This is because children inherently know how to play and learn in a way that is appropriate for them at their current developmental level. Have a question? Need to find an exhibit? Want to know more about the Museum? Just ask one of our Playologists, Art Studio Assistants or Visitor Services Associates! You will see them stationed throughout the Museum dressed in the signature uniform of the Children’s Museum — turquoise or purple polo shirt and khaki pants. 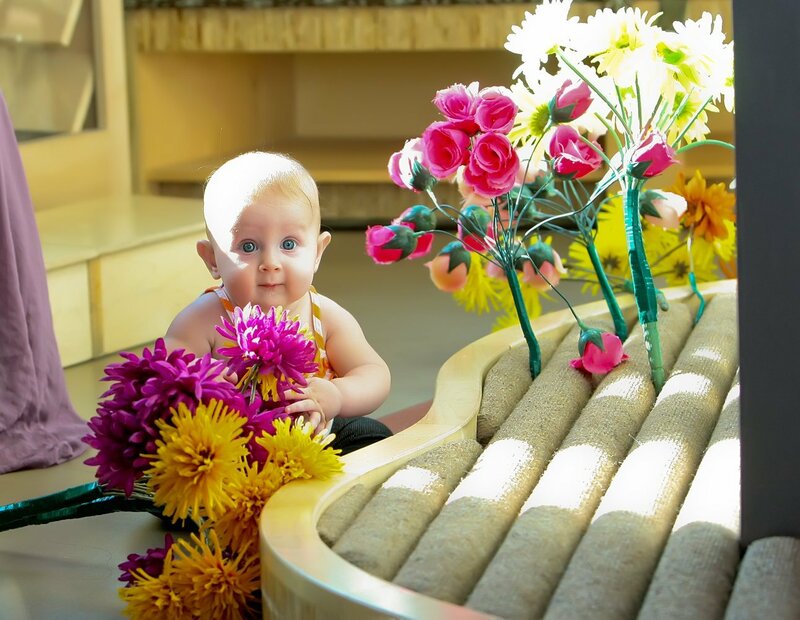 They are trained to assist our visitors in having the best time possible and more importantly, to facilitate play! Let your child be the guide and enjoy the journey, because the learning will be meaningful and the memories delightful. Special thanks to our friends at Brushfire Interactive for creating the amazing 360 degree videos for a selection of our exhibits. Just click on the “Get a 360 degree look inside!” links below for a truly immersive experience! In this creative workshop, visitors find an ever-changing array of hands-on art activities that help them make connections to the real world as well as to other exhibits in the Museum. Art Studio creativity includes gobs of glue, explosions of color, cutting with scissors to develop small muscles and fine tune eye-hand coordination, and releasing the imagination in bursts of creativity. Here, art becomes the means to explore the world of art history, the sciences, math, language arts, and social studies. Children learn to work with others by participating in group projects — like painting the 10-foot tall robot! — and they spend time working on individual activities that they can share with you. This is a no-fail environment where we acknowledge the creativity in everyone, no matter what their age. BlockMania! What will you build? Blocks are recognized as one of the most important play materials of childhood. Young children have difficulty thinking abstractly and blocks provide manipulation of concrete objects, as opposed to activity on a flat screen such as a computer. Located on the first floor, next to the wonderfully imaginative Climber, this beautiful space offers blocks of all sizes, shapes and colors, providing the raw materials for an amazing array of creative expressions. Whether engaged in a sprawling group project or intensely focused on building a solitary structure, children test their skills in eye-hand coordination, proportion, balance, symmetry, spatial awareness and patience! No doubt, it’s a place of towering possibilities! Reading together is one of the most important activities a caregiver can do with a child as it nurtures a love of the written word and builds a foundation for literacy and later success in school. This space is more low-key than most – comfy and cozy to encourage children to snuggle in and read a good book. The loft space also affords a view to upper levels of the Climber and a closer look at the CD wall. 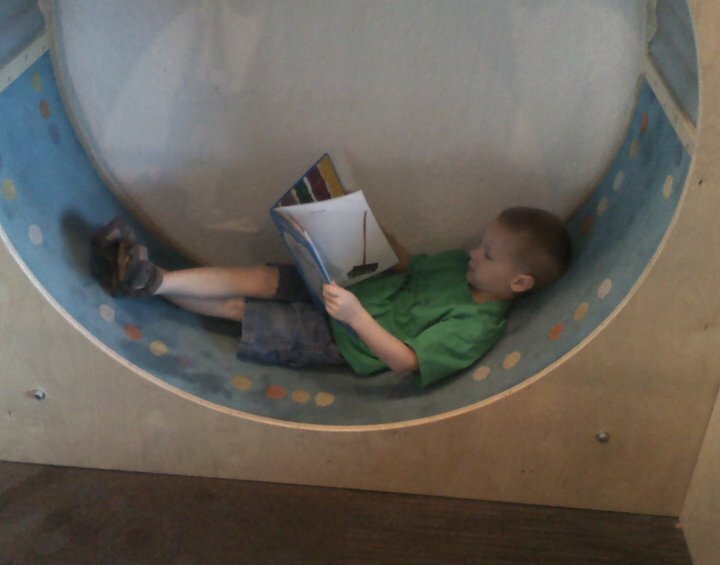 Storytime with Museum staff or guest readers is presented every day in the Book Loft. Get a 360 degree look inside! Building forts, dens, lean-tos and other shelters seems to be a human instinct that is played out again and again during childhood. The exhibit provides a host of raw materials and found items that might represent columns, beams, walls and roofs – all typical elements of the construction industry. Building Big entices the boundless imaginations of children to creatively engineer their own personal forts or contribute to a larger cooperative building project. Alive with interactive play, the area hums with purposeful activity. Balls go up, balls go down, balls go rolling all around – dropping, triggering, spiraling, bumping – flashes of movement and a myriad of sounds fill this action-packed room. Opportunities for role play abound as children bring the market alive with bustling activity. Much like real life, the market experience exercises the child’s physical, cognitive and social skills while providing opportunities to engage in group play, measure and weigh peas, and sample a tower of wonderful, food-related aromas. Encompassing the entire front yard along 7th Street, Move It! is an enticing outdoor exhibit space for children to do what they do best, learn through play and movement. Innovative in its design and repurposing of materials, the whimsical learning environment invites active exploration, robust imaginative play, physical activity requiring both fine and gross motor skills, and thought-provoking discoveries that lead to meaningful learning. Oodles of noodles suspended from above offer sensory immersion in a unique and engaging environment. A thick forest of textural delight awaits visitors as they navigate this unfamiliar yet stimulating terrain. 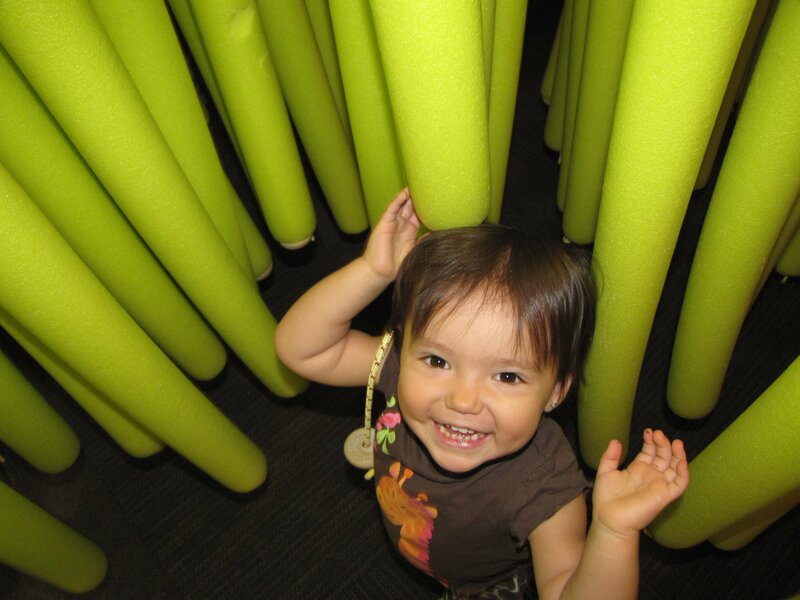 The Noodle Forest is guaranteed to activate the senses and inspire the giggles. 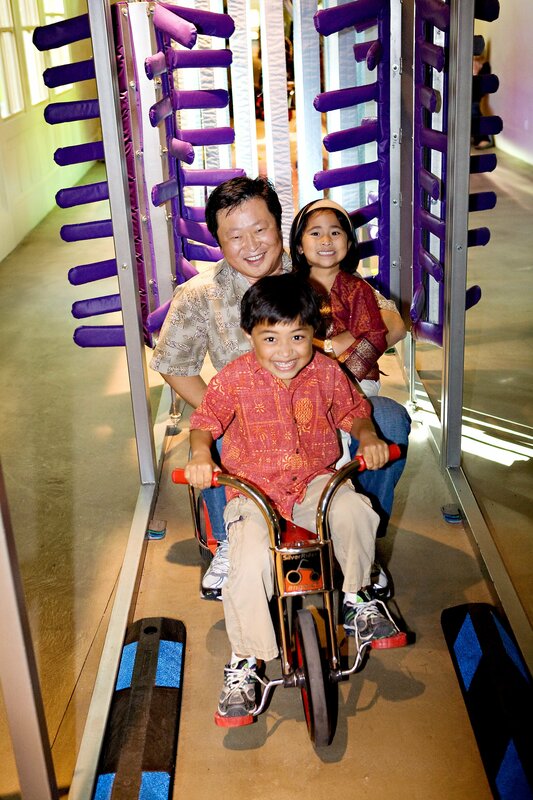 Pedal Power is a long, narrow space perfect for riding tricycles – and that is just what young visitors do here. 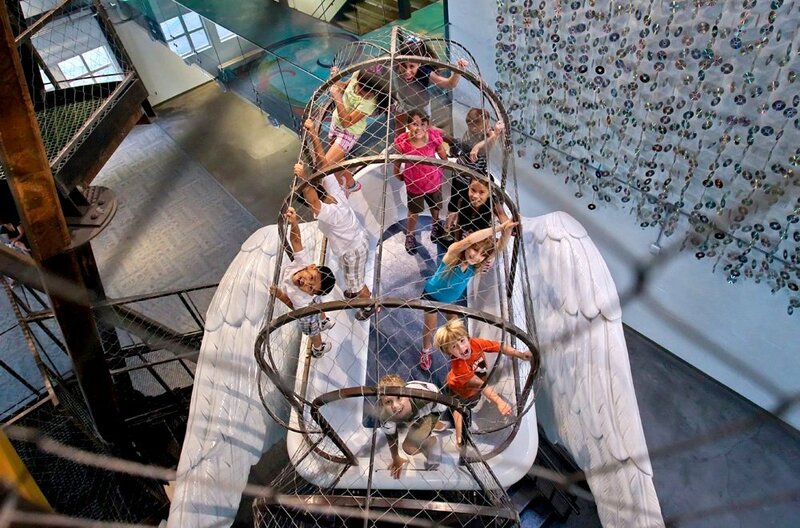 Within the safe confines of the Museum, young visitors can learn to master the art of pedaling, test their sense of balance, and practice cooperative play as they stop and go on imagined roadways. A tricycle “car wash” presents a unique experience as young drivers find their way through soft brushes, hanging strips and blowing fans. A mirrored tunnel excites children’s imaginations as they safely zoom through on an adventure to somewhere. Pit Stop invites visitors to “race to the finish” on three levels of racetracks. Children launch innovative racecars from the upper deck and cheer as they zoom overhead and down the vertical drop to the finish line. The child’s imagination takes over as he or she climbs into the modified racecar, revs the engine and takes off with tires screeching. A real motorcycle provides another means of “transportation” or just a cool spot to sit and watch the action. Of course, anything can happen and the car might be transformed into a rocket ship or a time machine at any moment! This gallery is for our youngest visitors and has many components designed to meet the particular developmental needs of infants and toddlers. Crawling under a tree, watching planes from the deck, exploring with the senses, engaging in simple role play – this area is a visual delight for child and parent alike. It provides a warm and welcoming space for caregivers to spend time enjoying and learning about their little ones in the essential company of other grown-ups. And because there is so much crawling going on in this room, the Museum enforces a strict no shoes policy so that the little ones can enjoy this room in an environment that is as clean as possible. We’ve even created a very special shoe wall to keep your shoes in while you play! In order to better accommodate Museum visitors who have children ages three and younger as well as older children, we have created a “Big Kid Zone” in the Place for Threes and Younger exhibit on the 3rd floor. Just like the “Baby Zone” in our other exhibit areas, this special area in the exhibit makes it easier for visitors who have children of different ages to enjoy playing and learning in the Museum. The “Big Kid Zone” is a bright space near the south window within the Place for Threes and Younger where children ages four and older can read, play with toys, and complete puzzles, while the grown-ups play in the exhibit with the younger children. 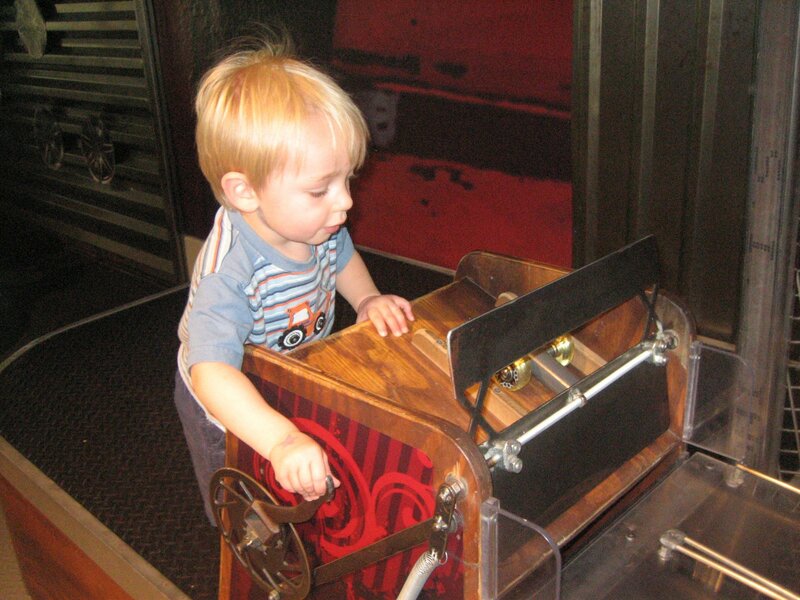 If you are visiting the Museum with a child age three or younger but have other children with you that are older, we also encourage you to visit our other exhibits which have infant/toddler areas designed into them so that the whole family can enjoy playing together at the Museum! Towering above the Atrium floor, the Climber offers a bird’s eye view of the bustling activity below. Created from standard building materials, found objects, items out of context, and a little inspiration from some wacky imaginations, this climbing adventure is guaranteed to stretch the muscles, provide a feeling of perceived risk, and challenge all to climb to new heights. • Children cannot be carried in backpacks, baby slings or in your arms. • Purses, bags, water bottles, etc. cannot be taken up into the Climber. • Shoes are required. High heels are not allowed on the Climber. In the lively, child-sized Café, customers of all ages order up food for the imagination. First, choose your role: Maitre d’, chef, or maybe ‘regular’ customer. Then, use an amazing array of fabrics and materials to create the meal of your dreams. 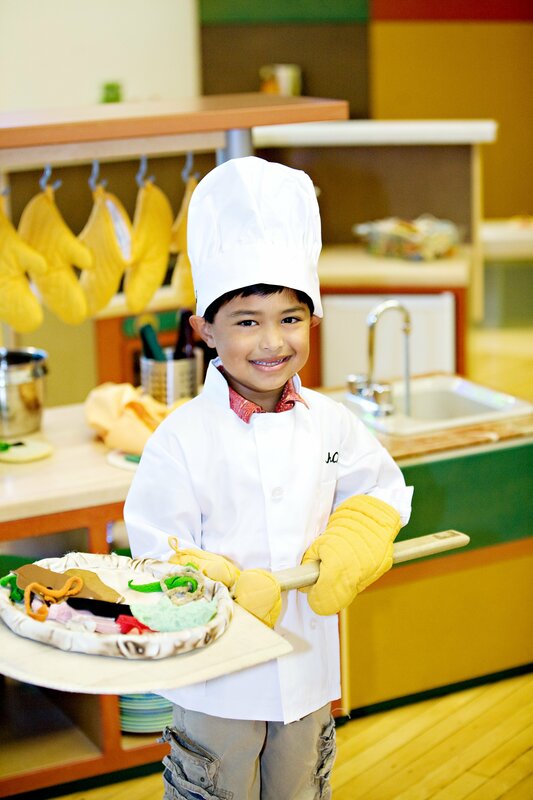 Whether choosing green velvet for a spinach salad or scraps of silk for spaghetti, children actively engage all of their senses, garnished with creativity, to delight their customers. Tables and booths, counters and stools, and a full-service kitchen with ovens, stoves, storage and utensils provide the framework for culinary escapades. Enjoy and bon appétit! Get a 360 degree look! Whoosh! captures the imagination and beckons children to experience the intrigue of sound, movement, color, and the power of air. 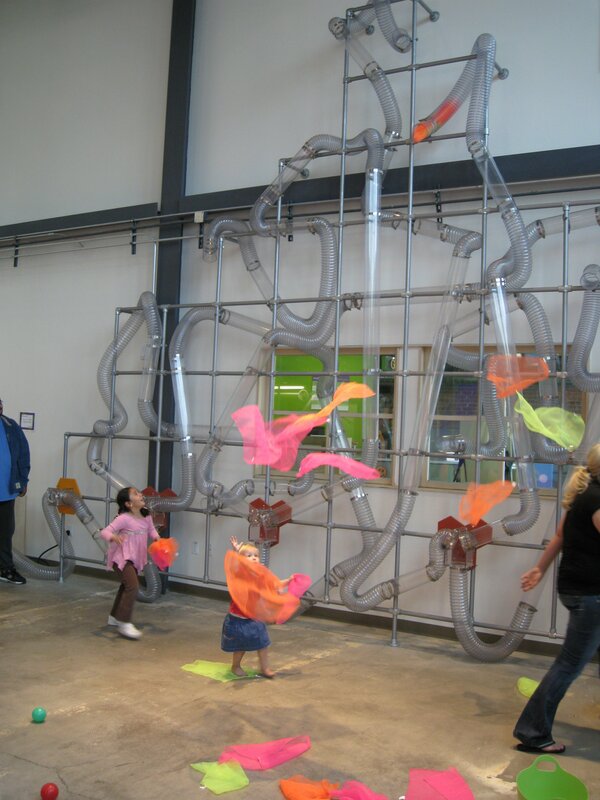 This wonderful contraption is a freestanding jumble of connected tubes where children feed scarves in a rainbow of colors into the transparent, air-powered structure. The colorful scarves shoot up through the pipes at high speeds, to heights of 20 feet or more, and are released in a burst of energy from high above. In contrast, they gently float down slowly to land on or be caught by children.